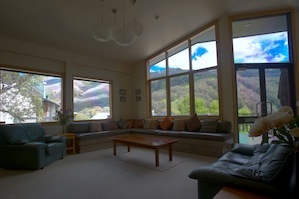 Kiama Alpine Lodge is special for lots of reasons, The first thing people notice is the space. 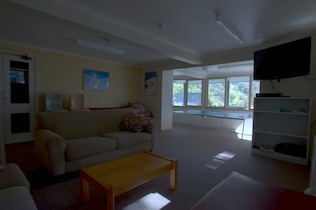 Being one of the early lodges in Thredbo we have more space, inside and out than almost all other lodges. We have a big car park with room for 10+ vehicles right at the door. Unloading is a breeze with such great access and you will have the luxury of having your vehicle right at your doorstep throughout your stay. Inside we have plenty of room to move as well. Our huge lounge room has a roaring log fire, big comfortable leather lounges and unbeatable views of Mount Crackenback and the slopes. We have a commercial sized kitchen that is fully equipped with European appliances and everything else needed to prepare a snack, a family meal or a banquet for 30+. The adjoining dining room, with breathtaking views of the mountain, can seat up to 40 in comfort in any configuration to suit your party. There is also a massive balcony out the front over-looking the mountain and Thredbo village with a BBQ and tables and chairs for an alfresco dining experience like no other. On the ground floor is a great games room for the kids (big and little) with a plasma TV and DVD player, lounges, games table, etc… For the bigger “kids” there is also a sauna which is just the ticket to sooth those aching bones after a challenging day on the mountain. 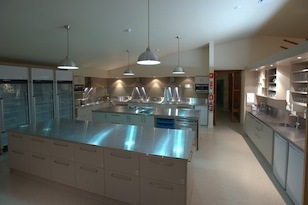 The laundry and ski/board workshop and extra fridge and freezer storage are also on this level. The big drying room is easily accessible just inside the main entrance and is fitted out with plenty of racks to hang things to dry and has a wall dedicated to storing bikes. The lodge sleeps up to 30 guests between its 13 cosy bedrooms. A variety of bedding configurations are designed to suit singles, couples, families and larger groups. All rooms have views, most looking out to the slopes. Two pairs of apartment style bedrooms, with each pair sharing a bathroom, are available if that’s more your style. For the rest of the lodge there are multiple shared bathrooms with wonderfully hot showers immediately adjacent to all the bedrooms. Our on-site lodge managers will do their best to accommodate your preference. High speed wireless internet is available to all guests, free of charge. The lodge was given a major facelift in 2008 and the club’s members are always looking at ways to improve the amenities. We are proud of our club and our lodge and we welcome and invite guests to enjoy its facilities and become a part of the Kiama Alpine family. 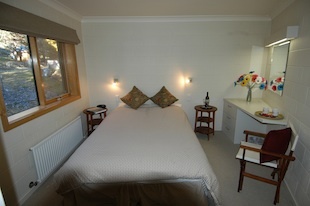 You will not be disappointed with a stay at Kiama Alpine Lodge - any time of the year. For all our mountain biking guests we invite you to come and take advantage of our new mountain bike storage facilities. 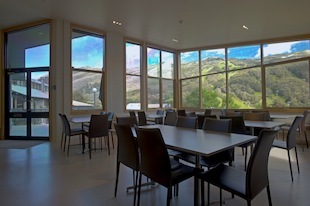 Kiama Alpine Club is a mountain biker and road cyclist friendly lodge. We have bike storage facilities inside the lodge as well as a bike maintenance area with two bike maintenance racks and a convenient hosing area for muddy days. 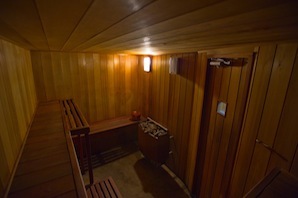 We have a large traditional Swedish sauna.